Azure Stream Analytics has had severe important updates the last few months. And these updates make the Azure Stream Analytics job even more powerful. Working with Geo coordinates has alway intrigued me. So the third major update is my favorite: built-in geospatial functions. So we have points, lines and areas. Let check this out using Stream Analytics. The Azure IoT Platform is a very versatile solution for all your IoT needs. Azure supports multiple resources for storing large amounts of data, querying immense streams of data coming in, having event buses which can hold millions of messages, serverless functions, reporting and Machine Learning; what more do you need? Normally, whenever I start a new IoT Platform solution in Azure, I start with an IoT Hub and connect it to a Stream Analytics job as an input source. Messages arriving at the IoT Hub are then passed directly into the Stream Analytics job to be examined. And the Stream Analytics job can pass some or all messages (or transformed messages) to multiple output sinks eg. Event Hubs, Service Bus Queue or Topic, Blob Storage, etc. The arriving messages carry telemetry information from the device. But what if the messages are sent in a certain context? What if a message has a high or low priority? Should we pollute the message with this ‘routing’ information? And Act on it inside the Stream Analytics job? A few week ago, Microsoft introduced a new feature in IoT Hub, called message routing. There are two important things to keep in mind. First, the message properties are extra annotations (defined by the IoT Hub device client), we are not peaking inside the message itself. And second, messages can still end up in a Stream Analytics input when it is ignored by the active routes. Update 2017-06-01: Microsoft announced that routing is now supporting values from the actual telemetry, great news and now it’s more intuitive! This weekend, I got a BBC micro:bit from a friend. This is a nice gift indeed, I had and still have lot’s of fun with it. Before I tell a bit more about the device, did you know each 11- and 12- year-old student in the UK got one for free!? That’s more than one million devices. This is a great opportunity for kids: they can learn about programming, computers and most of all, programming and computers can be fun! The design of the device is very clever! 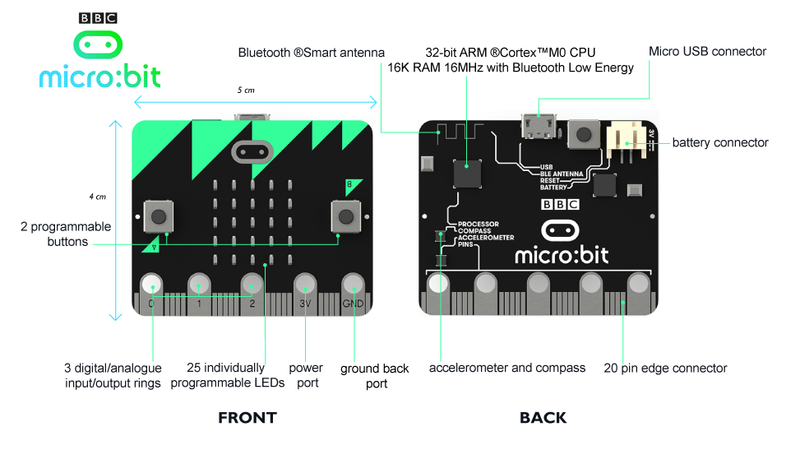 It has an ARM processor, two buttons, 25 leds (which acts like a screen), a compass, an accelerometer, Bluetooth LE, GPIO pins, a battery connector and a MicroUSB connector (for programming). Microsoft is has made their IoT platform very open. There are lots of ways to connect to it, using various protocols like HTTP, MQTT and AMQP. And Microsoft provides multiple SDKs to connect to their IoT platform using languages like Python, .Net, Java, Node JS and C. So it’s not that hard to connect to the platform whatever your development platform is. If you follow my blog, you will notice that I normally connect to the platform using UWP. It’s great for testing purposes and it even runs on a Raspberry Pi using Windows 10 Core. I also connect a lot using ‘special’ Arduino’s. Although these are not connected to the Internet by default, I have a couple of The Things UNO boards which have wireless connectivity using Lora. The Arduino’s connect to the Azure IoT platform using the The Things Network Lora platform. I also connected using a Photon, using the Particle cloud. This works almost out of the box but for now, it’s only one way; I can only send telemetry to the Particle cloud. I hope to see the ability for receive commands, arriving at the Photon, in the near future. 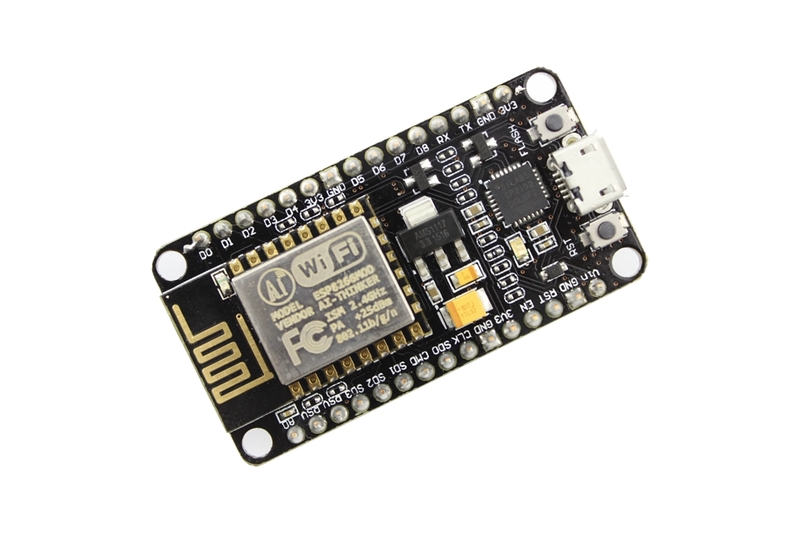 Currently I have some NodeMCU laying around and a friend showed me how to connect to the Azure IoT Platform using the Azure IoT for C SDK. It’s not that hard to get it to send some telemetry, once you know what to do (thanks, Jan Willem 🙂 ) but retrieving commands is less straight forward. In this blog, we take a closer look.